After nearly four months of strength, U.S. stocks showed their first chink in the armor as all three major indices dropped more than 2% during the week of April 15 — the largest losses so far in the New Year. A pullback was seemingly inevitable as a growing number of market pundits cited poor economic data, persistent unemployment, and weakness in the commodity markets. All of these signs are legitimate indicators for caution when putting your hard-earned capital to work. The most frustrating part of the market rally for some is that indices have continued to rally and make fresh all-time highs in the face of worsening data points. Many investors, both retail and institutional, have been underinvested based on these concerns and now have significantly underperformed others who stayed fully invested in recent months. While I advocate staying invested for the long-term, a strong argument can be made for taking some level of profits given the S&P 500 has rallied 12% between Jan. 2 and April 11, leading in to the current market pullback. My focus is to assist both groups of investors: group 1, which has been underinvested and is now hoping to gain some investment upside, and group 2, which has fully participated in the market rally, and is now reducing their higher beta positions based on a foreseeable pullback. Hundreds of stocks have reached all-time highs in recent weeks based on the market rally, and the purpose of this article is to differentiate gains based on improved fundamentals versus a rising tide lifting all boats. Here are four stocks I believe that readers shouldn’t feel guilty buying at all-time highs. 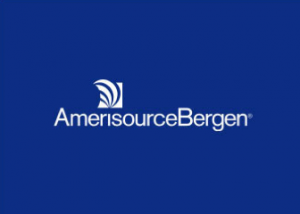 AmerisourceBergen Corp. (NYSE:ABC) is one of the three largest pharmaceutical services companies that serves the prescription drug industry supply chain. The $16 billion, Valley Forge, Penn.-headquartered company competes with Cardinal Health, Inc. (NYSE:CAH) and McKesson Corporation (NYSE:MCK) in the pharmaceutical distribution business. Shares of ABC have rallied a massive 29.5% so far in 2013 as investors digest the significant value of the company’s recently announced 10-year contract with Walgreen Company (NYSE:WAG). Competitor Cardinal Health will be losing the Walgreen contract, which caused its shares to fall heavily on the news. Despite recent gains I believe AmerisourceBergen Corp. (NYSE:ABC) is still priced attractively for long-term investors. As part of the March 19 announced deal, Walgreen Company (NYSE:WAG) is allowed to purchase up to a 7% equity interest in AmerisourceBergen on the open market. This is a huge positive for retail investors as it aligns the collective interest of ABC’s partners with the existing shareholder base. Furthermore, both ABC and Walgreen are expected to achieve cost synergies, which should result in higher operating margins across the board. On April 10, analysts at Goldman Sachs upgraded ABC to “buy” from a previous “hold” rating with a raised $61 price target. AmerisourceBergen Corp. (NYSE:ABC) is scheduled to release second quarter earnings on April 25. Wall Street also views Walgreen Company (NYSE:WAG) as a long-term beneficiary of the decade-long partnership. Analysts at Cantor Fitzgerald raised their price target on Walgreen to $49 from a previous $45 on the news. A higher earnings multiple on Walgreen may also be justified based on greater confidence in the company’s ability to offer the lowest prices. Finally, the Wall Street Journal published a must-read article titled Deal Transforms Pill Pipeline (paid registration required), which describes how the recently announced ABC/WAG deal could transform the pharmaceutical industry and force competitors such as Rite-Aid to form their own strategic alliances. I originally wrote about CarMax, Inc (NYSE:KMX) in a piece titled Businesses with a Competitive Advantage back on Dec. 19. Shares have risen more than 21% between Dec. 19 and April 19, handily outpacing the S&P 500’s 7.5% gain in only four months. CarMax is a used car retailer that competes in the highly fragmented used car market. The company is benefiting from economies of scale as it expands its successful business franchise across the United States, making it difficult for mom-and-pop used car shops to compete. Revenue at CarMax grew 14.2% in the most recent quarter, while earnings grew at a respectable 12.2%. The company currently operates 119 used car markets in 59 metropolitan areas. Management has stated plans to open between 10 and 15 new stores during each of the next three fiscal years, potentially increasing the size of CarMax’s overall business by as much as 40%. On April 11, analysts at RW Baird raised their price target on CarMax to $45 from a previous $40 based on strong fourth quarter 2012 earnings. The Milwaukee-headquartered RW Baird is hosting a Growth Stock Conference on May 8, and CarMax management will be presenting at the event. I suggest that readers purchase shares of CarMax ahead of the conference, as the stock will gain further visibility in the investment community. Air Products & Chemicals, Inc. (APD), Walgreen Company (WAG), Texas Instruments... CarMax, Inc (KMX): The Company Grows, but at Too High a Price Apple Inc. (AAPL) Is In Jim Cramer’s New Lifestyle Index Johnson & Johnson (JNJ): Will Dividend Growth for This Dividend King Start... CVS Caremark Corporation (CVS), Walgreen Company (WAG), Express Scripts Holding... Should You Imitate the Insider Buying at Walgreen Company (WAG)?